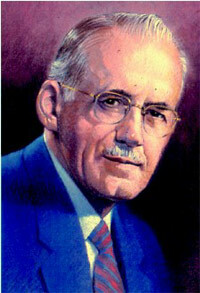 “Today’s world was entirely unimaginable to the people of those times [those living in Christ’s day]. Have these changes forced God to modify His plans for His church and for mankind? Here is where we have fallen by the wayside. Here is where we need a reformation, a purgation, a removal of the faults, and the restoration again of the faith of Christians to believe in the truth. … ‘Do you think God has been forced to change His mind?’ I do not think anybody would quite have the courage to say yes. Nevertheless, they do say it little by little until they have brainwashed their people. In effect, they say that the Bible must be interpreted in the light of new developments. A Book that was written in the day when people rode donkeys must be reinterpreted to mesh with contemporary society. They say that the prophets and apostles mistook what God intended to do. The Bible is outdated and largely irrelevant. … I challenge the idea that we are any further advanced than they were in the days of Jesus. If we are so advanced, then I want to ask some questions. Why do we kill thousands of human beings each year with automobiles? Because we ride automobiles instead of donkeys, we are advanced? If we are so advanced in our day, why are the penitentiaries packed full and the mental hospitals crowded? If we are so advanced, why is the whole world a powder keg? If we are so advanced, how is it that we have weapons that can annihilate the world? If we are so advanced, why is it that people cannot walk alone in the parks anymore? Why is it that workers who get out at midnight never walk home alone anymore? Why is it in this advanced age that drugs, violence, abortion, and divorce are soaring? “We have been brainwashed to believe that we cannot read the Bible as we used to. We must now read it through glasses colored by change. We have been hypnotized by the serpent, the devil, into believing that we no longer have a trustworthy Bible. In any modern-day discussion on the topic of “tolerance” the conversation is sure to come around to sexual dos and don’ts. 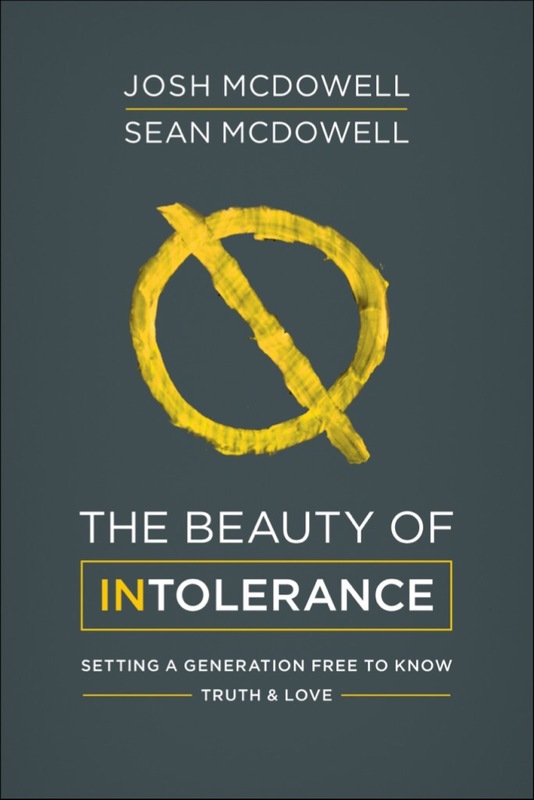 Josh McDowell and Sean McDowell speak to this subject so well in their book The Beauty Of Intolerance. “First, marriage is two human beings becoming one in every way possible. . . In marriage, two become one, united in mind and body and purpose. “Second, marriage is oriented toward procreation. The act of two becoming one flesh makes God’s intent, that humans should ‘fill’ and ‘form’ His world, possible. … Scripture sees marriage as being closely tied to procreation. . . .
“Third, marriage comes with an expectation of permanence. 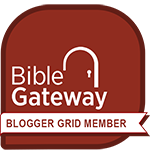 The Genesis account implies marriage is a permanent relationship, [but] Jesus’ words are explicit: ‘What therefore God has joined together, let not man separate’ (Matthew 19:6). . . . If you haven’t read my review of The Beauty Of Intolerance, you can read it here. I have also shared some other quotes from this book here and here. 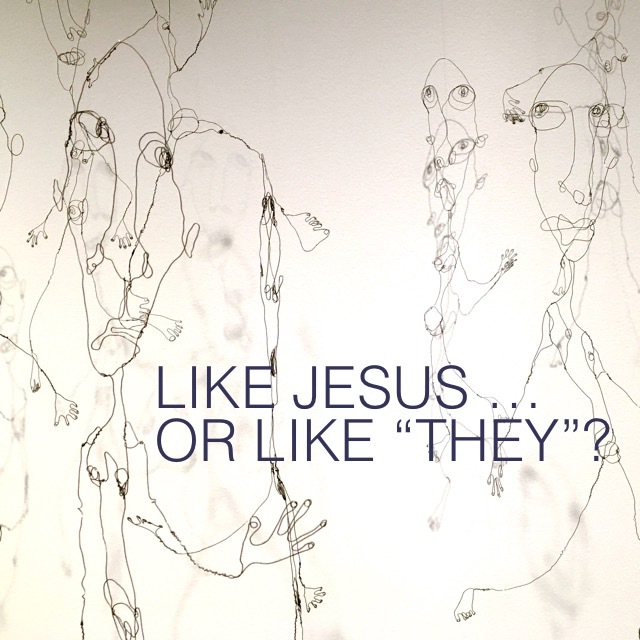 The Apostle Peter uses an appropriate term for Christians living on Earth: “Aliens and strangers.” This means that those who call Jesus their Lord are to live a counter-cultural lifestyle. 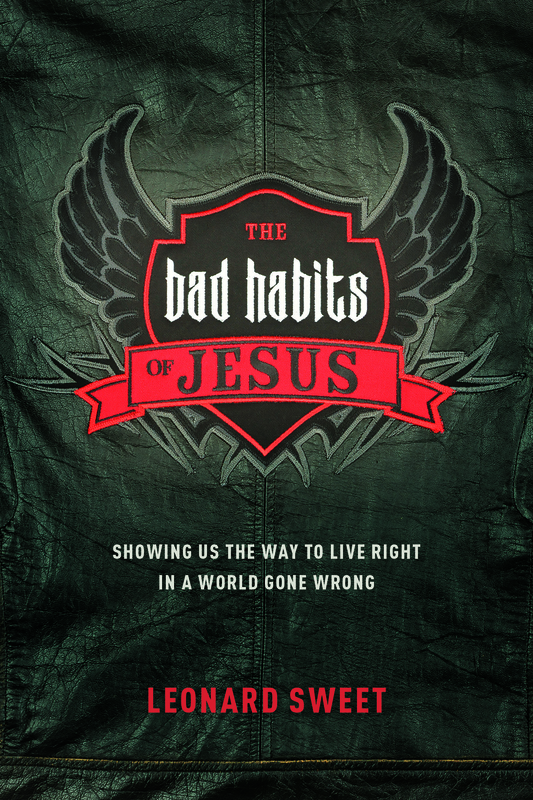 Not a lifestyle that changes with the popular culture, but one that stays true to God’s Word. There probably has never been a more controversial subject in any day or culture than marriage and the relationship between the sexes. Why are these terms “controversial”? I suspect it is because we are naturally bent toward being pragmatic people. In pragmatism, the outcome determines meaning. If I find something easy to do, convenient for me, and I seem to get applause from those around me, then what I did must be right. However, if it’s challenging to stick with something, and seemingly only a few people approve of how I do it, then it must be wrong. That is letting culture determine morality, instead of letting God determine it. longsuffering—He did not retaliate nor threaten His persecutors, but for the joy set before Him, He endured the shame of the Cross. servant-leadership—At the last meal He had with His followers before being crucified, He washed their feet, and told them He had given them an example of how they were to serve others. respectful behavior—Jesus willingly suffered the penalty for the world’s sin. He fulfilled the prophecy of Isaiah which said He remained silent before His accusers. mercy—This always means not getting the penalty we deserve. Jesus came to save us when we were the least worthy of His love. Pragmatism looks at God’s design and says, “Yes, I understand that, but….” Pragmatism tries to find an “out” or a “loophole” that let’s someone change a definition or skip out on doing something God’s way. If anyone ever had the authority to say, “Yes, Father, I know what You want Me to do, but look how they’re treating Me” it was Jesus. 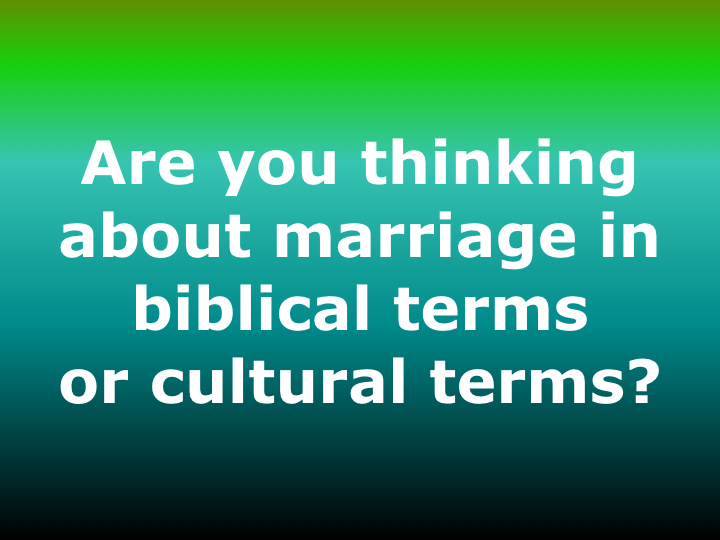 So the question we need to ask is: Am I thinking about marriage—a husband’s role, a wife’s role—in counter-cultural biblical terms or in popular cultural terms? 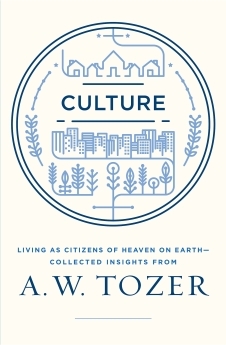 If I find I am thinking culture’s thoughts, am I willing to try God’s way? Join me next Sunday as we look at this passage again, and see how a wife and husband can love and serve each other in a God-honoring, counter-cultural way. The book of Proverbs has so much timely wisdom. Many of the proverbs are presented as the opposite of what pop culture promotes. Nowhere is this more stark than chapters 10-15. In these six chapters, nearly every verse uses the conjunction BUT to set apart God’s way from the world’s way. 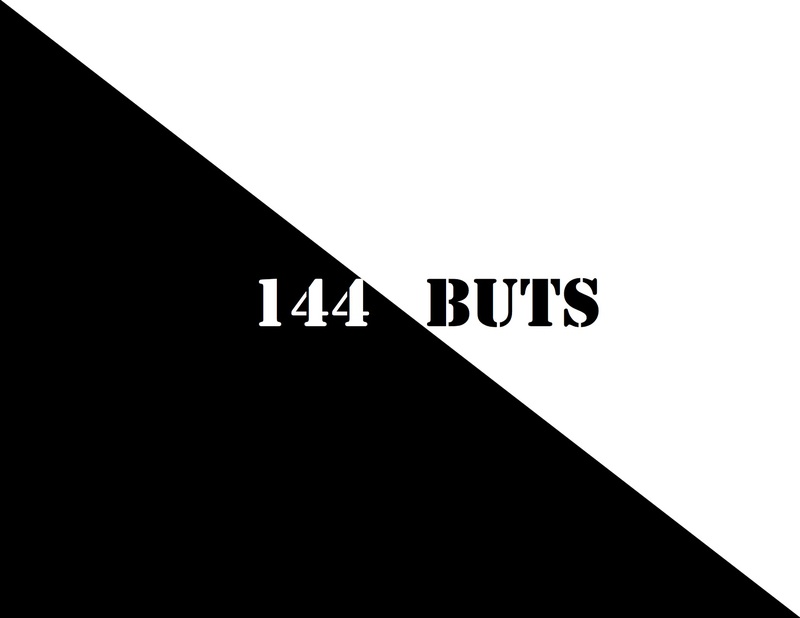 In fact, I counted 144 BUTs in these chapters. Clearly there is a lifestyle that God blesses, and a lifestyle that God rejects. Wicked words are out for blood, BUT upright words rescue (v. 6). Sinful talk ensnares, BUT righteous conversation avoids trouble (v. 13). Truthful words build an honest reputation, BUT a false witness is never trustworthy (v. 17). Reckless words wound, BUT wise words heal (v. 18). Lies are short-lived, BUT the truth wins out (v. 19). God detests lies, BUT He takes delight in those who are truthful (v. 22). Take some time to study the BUTs in these chapters, and then comment below on what you find.